Shea Serrano is a teacher turned New York Times best-selling author. Turned diehard Aces fan — even from afar. Shea Serrano is a teacher turned New York Times best-selling author turned diehard Aces fan — even from afar. Serrano has amassed a Twitter following of nearly a quarter million people with his frequent — often unadulterated — quips about basketball and engaging personality. He writes for renowned sports columnist Bill Simmons, and his website, The Ringer, and uses his prolific platform to cheer for his hometown San Antonio Spurs. 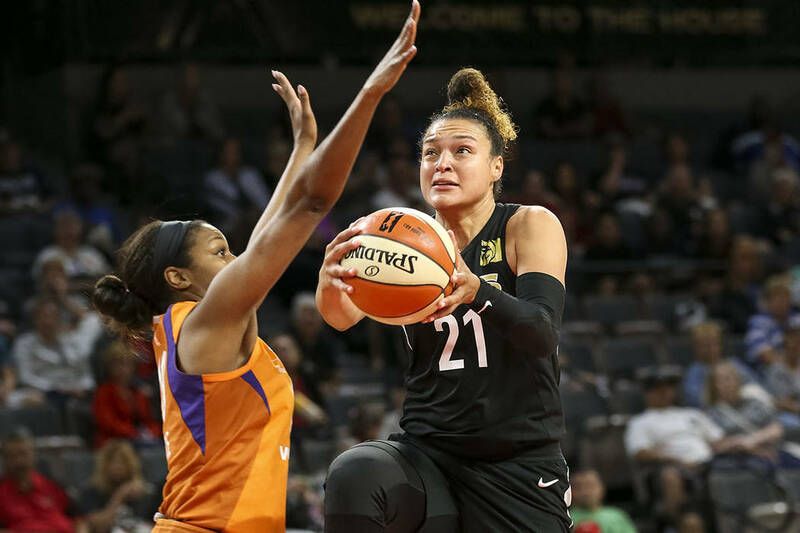 Serrano embarked on a personal crusade Thursday to vote Aces guard Kayla McBride into the WNBA All-Star Game by bombarding the WNBA with #WNBAVote Tweets. He admires A’ja Wilson, too, and frequently watches the WNBA via League Pass. 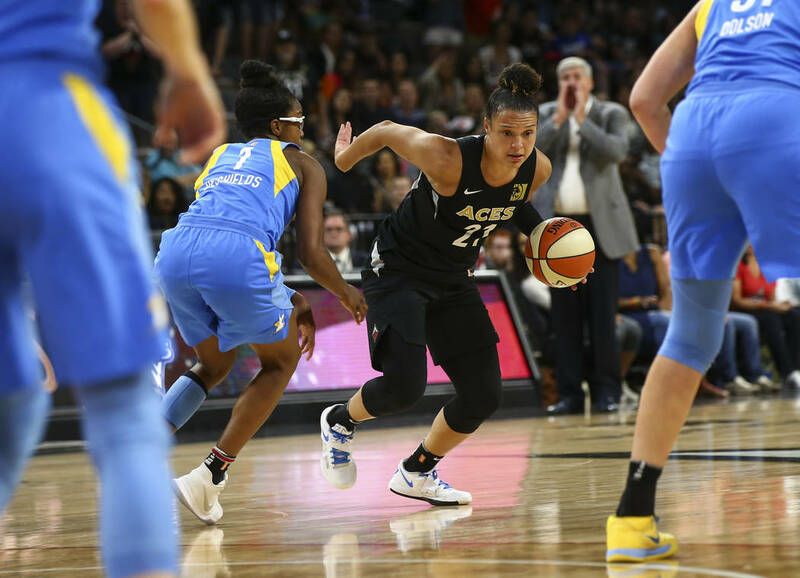 Serrano and his Ringer colleagues recorded a live podcast at Caeser’s Palace on Friday night, and he’ll be at Mandalay Bay Events Center on Saturday night to watch the Aces play the Connecticut Sun. The Review-Journal caught up with Serrano to learn more about his love for the Aces. RJ: You’re one of the most prominent national writers who advocates for and promotes the WNBA. How much do you want to see the league and brand become more popular? SS: It’s definitely on its way up. Twitter, that’s been a big play in it as well. You watch a game on TV, it’s fun if everyone else is tweeting about it. I feel like If I’m tweeting a lot about it, hopefully others will turn the TV on. I hope it grows. It’s better when more people are talking about it. RJ: Did you follow the Aces at all when they were in San Antonio? SS: No, I didn’t. I knew the main names, just following the Spurs. You hear Becky (Hammond). I knew they drafted Kelsey Plum. Little stuff like that. I didn’t know that they were terrible. I just assumed that they were really great. … I didn’t know anything about it. This is the first time I’m watching (the WNBA). RJ: How did you start advocating for Kayla McBride to make the all-star game? Your campaign is taking on a life of its own. SS: She’s on the Aces, and I started watching her there. … She’s sort of been holding the team down. A’ja is, of course, fantastic. But she does rookie stuff. She’s up. She’s down. You know Kayla is going to be ready to play. I just started watching her because I’ve been watching the Aces, and she’s sort of a name that jumps out because of how good she is. I got the email from the WNBA, and saw she was like 24th or something crazy, which I know she’s better than the 24th player in the league, you know what I’m saying? I felt like she should be up there, so let’s get her up there. RJ: What’s the most impressive thing about A’ja Wilson? SS: There’s a special class of athlete in every league. There’s a group of players who you watch them, and you go ‘Whoa, she moves the way the best players move. Or he moves the way the best players move.’ You see that with A’ja already. She’s had dominant stretches in her first year in the league. … You see it in her face realizing that she’s better than everybody else. Even at this level. It’s just cool to watch. She’s a superstar level player. They just walk a little different.